Happy Thursday everyone! So sorry for the late post today. There are some big changes going on at my day job and I didn’t have a chance to update the site during the day. 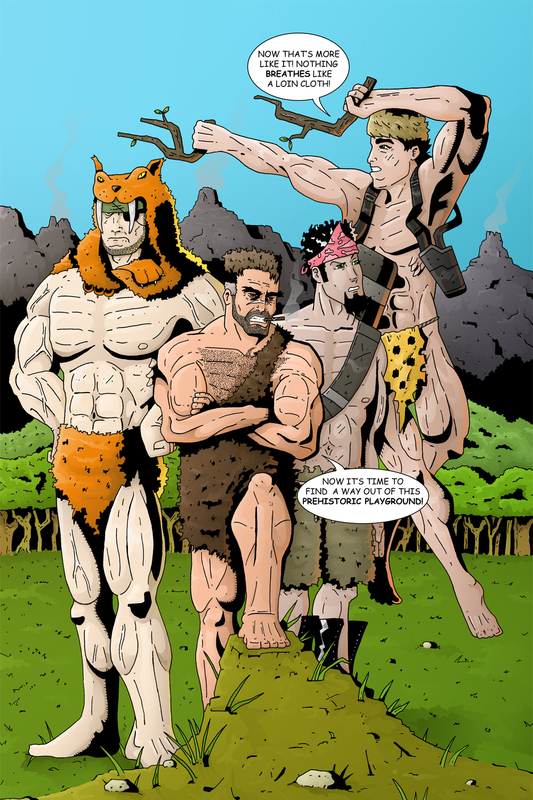 Hopefully the wait has been worth it for the big reveal of Team Stryker in their primal uniforms! The designs for these outfits were the first things I drew for Mission 003. Deadeye wearing a saber tooth tiger as a hat and Casanova wearing a leopard loin cloth were the first concepts I drew and also my favorite. Team Stryker is very adaptable to any situation and I want it to be shown that they are rarely taken off guard or surprised by any situation they are in. Have a great weekend and check back here to see how Team Stryker gets themselves out of this Jurassic nightmare!